PSG is family owned and operated. We believe in treating every home we manage with a personal touch, as if it's our own, and treating every guest who stays with us as a welcome friend. Making both our owners and our guests happy is the most important thing we do. We started in 1999 as a management company for own own real estate holdings and have been growing (or trying to!) ever since. As far as all the professional stuff is concerned - we hold memberships with the National Association of Realtors®, California Association of Realtors®, San Diego Association of Realtors®, Vacation Rental Managers Association, San Diego Vacation Rental Managers Alliance, and the Better Business Bureau. 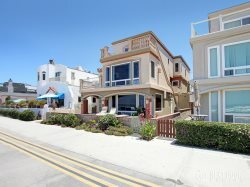 We focus our management on the nicer and more upscale vacation properties in the Mission Beach and Bay areas. When requested, we offer guidance to property owners on the selection of furnishings and décor to help make certain your property garners the greatest financial return possible. Rentals are restricted to the primary responsible occupants being age 28 and above to assist in the protection of your investment. Because vacancies are expensive for both of us, we make every effort to keep our vacancies to a minimum. Properties are advertised on trending vacation rental sites and our new reservations system allows clients to secure their vacation 24 hours a day. Give us a call, we would be happy to speak with you about our services. Together, we can figure out how to get more money in your pocket from your investment property.